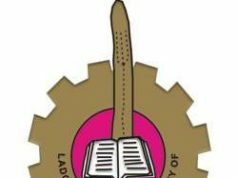 The Ladoke Akintola University of Technology (LAUTECH) School Fees Payment Deadline for newly admitted candidates for the 2018/2019 academic session has been released. Having given further consideration to the submissions and pleas from stakeholders on the issue of payment of tuition fees with penalty, the Vice Chancellor, Professor A. S Gbadegesin has directed that the penalty be removed for all students. All students are, therefore, free to pay their tuition fees without penalty. Meanwhile, all students are hereby reminded that the Mid-Semester CBT Tests will hold during the last week of the month of February 2019 as earlier announced and no student who fails to pay his/her tuition fees will be allowed to participate in the Mid-Semester Tests. Affected students are, therefore, advised to pay up immediately now that the penalty has been removed. 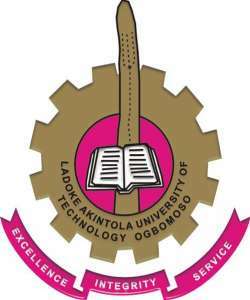 This is to inform all the candidates offered provisional admission into the Ladoke Akintola University of Technology, Ogbomoso (LAUTECH) that the management of the university at its meeting of Wednesday, January 16, 2019 reaffirmed the deadline for the payment of tuition fees by all candidates offered provisional admission for the 2018/2019 Academic Session. See Also: LAUTECH School Fees Schedule. (iii) For stale students, payment of increasing penalty will commence from Monday, January 28, 2019 till Thursday, February 28, 2019 when the mid-semester tests will hold for all students.